TNT is bringing Dallas back to viewers June 13. 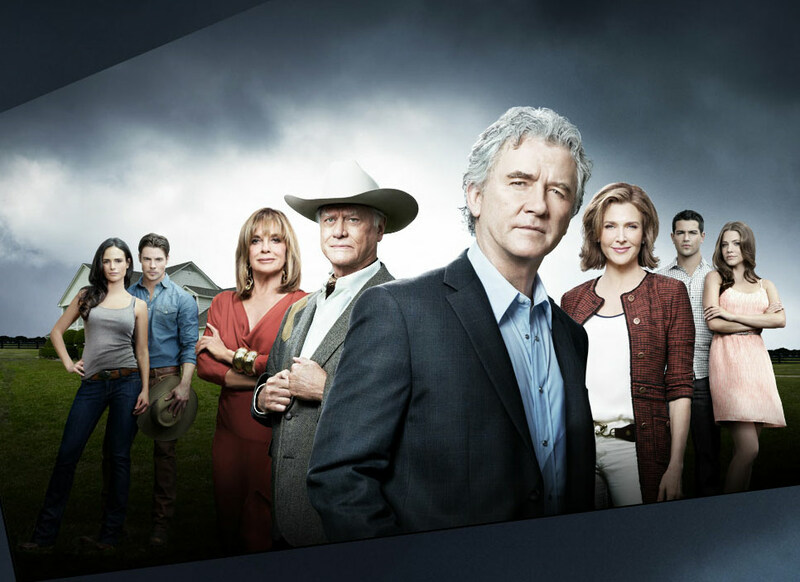 The original series, which enjoyed a 14-year run, still maintains a legion of fans, which may be why TNT decided to bring the residents of Southfork ranch back to television. The new series sets up a rivalry between a new generation of Ewings—J.R.’s son, John Ross (John Henderson) and Bobby’s adopted son, Christopher (Jesse Metcalfe). Back to embrace the roles that made them household names, Larry Hagman and Patrick Duffy are back as brothers J.R. and Bobby Ewing, still fighting for control of Miss Ellie’s ranch. Other original cast members include Linda Gray as Sue Ellen, J.R.’s ex-wife and now a candidate for governor; Charlene Tilton as Lucy, offering advice to her cousin John Ross; and Ken Kercheval as the still-vindictive Cliff Barnes. The series, however, focuses on John Ross and Christopher, who both have very different plans for Southfork—John Ross wants to drill for oil, while Christopher dreams of using proceeds from the ranch to fund his alternative energy research. But getting in the way of both men’s ambitions are their fathers. True to character, Bobby is still struggling to do the right thing in the face of adversity. And J.R. is still as deliciously devious as ever, not caring who he screws over to gain control of Southfork once and for all. One of the highlights of the new series is watching J.R. vow to his brother that he has turned over a new leaf, while backstabbing everyone around him behind the scenes. Larry Hagman is as formidable as ever, showing why J.R. Ewing’s name is known even to those who never watched the original show. Patrick Duffy slips in to the role of Bobby with easy familiarity, and while we are told Pamela Ewing “disappeared” years ago, Brenda Strong fills her shoes as Ann, Bobby’s new, but equally supportive and loyal, wife. Fans of the original series will delight in seeing familiar faces (not all of whom are mentioned here,) as well as the winks throughout to the original show. (When Bobby’s wife Ann points a gun at J.R., he purrs “Bullets don’t seem to have an effect on me, darlin’.”) Plus, it’s fun to see little John Ross and Christopher all grown up, engaged in their own power struggle. For those who never watched the original series, the dynamic trio of J.R., Bobby, and Sue Ellen, as well as the love triangle between John Ross, Christopher, and Elena (Jordana Brewster) will hook them quickly. Throw in a wife for Christopher (Rebecca, portrayed by Julie Gonzalo) and a bid for Southfork by Cliff Barnes, and you have a version of Dallas that’s sure to please. Tune in to TNT tonight from 9-11 p.m. to watch the premiere of Dallas. To read an article with two of the cast members, click here.